Are you a writer who’s ready to start the writing journey to self-published author? Do you dream of being a self-published author and long to see your titles on Amazon being purchased by people around the world? 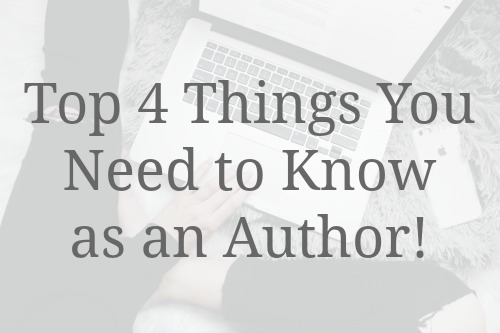 If you’re like many authors I know, there could be a myriad of reasons. You don’t think your writing is good enough. You don’t have money to start a business. You wonder whether this is a viable career option with which to support your family and you can’t afford to waste your time or fritter away your kid’s college fund. If you’ve had any of those feelings, you’re in the right place. I can help you! I’ve been there. First of all, fear is healthy, IF you don’t let it consume you (everything in moderation, you know). Fear can push you to be better as long as you always focus on your WHY. The reason you want to do this in the first place. You CAN work through the fear and accomplish all you desire! You ARE good enough. Only the voices in your head are telling you different. Now I want you to say that a hundred times a day until YOU believe it. Don’t stand in your own way! I can help you with the process of writing to self-publishing. I can give you direction, tell you where to start, and keep you from making all the stupid rookie mistakes I made over the last 10 years. You and I, we’ve got this covered. When you want something bad enough, you can figure out how to make it work. And YES. You CAN support your family with your writing. It’s not easy, and you might not make millions but you can make a living. Although, the industry has seen a slight decline in indie book sales (here is a good site to follow for this kind of information) they still make up a large share of the market. Upwards of 35%. That’s nothing to sneeze at. Amazon alone sells over a million ebook titles a day. If you believe in the law of abundance, as I do, that statistic shows there is more than enough to go around. But self-publishing is not an easy road and the first few times down it can be daunting. Hell, I’ve been down the road 20 times, and it can still be nerve-racking. That’s why I’ve created the course The Writers Journey! To walk you through the beginning steps of taking your book from the idea stage and getting it into readers hands so you understand the process. To offer my support to you along this amazing journey of yours. So you can realize your dream and live your dream life. I am thrilled to take my background as a college professor and instructional designer and combine those skills with my experience as a self-published author and design a learning community focused on helping YOU publish your book. The Writers Journey course covers many topics and includes video lessons, worksheets, tutorials, mastermind calls, and a private Facebook Group just to name some of the great benefits of joining. What it takes to be an author – being in it for the long haul, the entrepreneur mindset, handling criticism. Writing to Trend – finding out what’s selling, what your audience wants, and how that fits into your desired genre. The importance of a good cover – we’ve all heard the cliche, “judging a book by its cover” well people do. Purchase decisions are often made by the feelings invoked upon seeing your book cover. It’s got to be good. How to self-edit and find the right editor for your book – editing can make or break you. It’s costly and time-consuming but so important. The basics of formatting – epub, mobi, pdf, all platforms have their own guidelines. Knowing what’s required and where you want to publish (hint: everywhere) is crucial to your plan and overall success. How to create your author platform – it’s not enough to write a fantastic book. You MUST market. Connect with readers, let them get to know you, build a following of people just dying for your next book to come out. Why wait – sign up now and start your journey to making a living as an author! So why wait to start your publishing journey? Gain an understanding of the process and plot out your writing life!